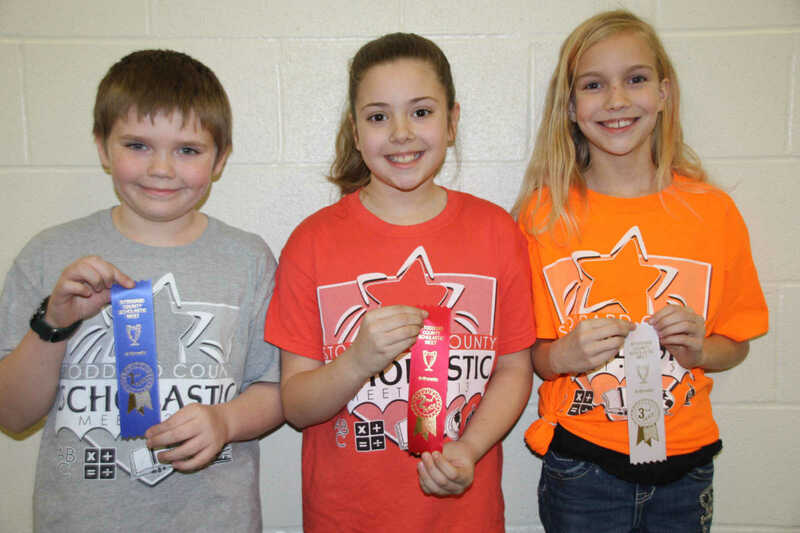 Grade 4 Math - First Place - Gavin Brawley, Puxico; Second Place Emma Scott, Woodland; Third Place - Nyah Wilson, Advance. 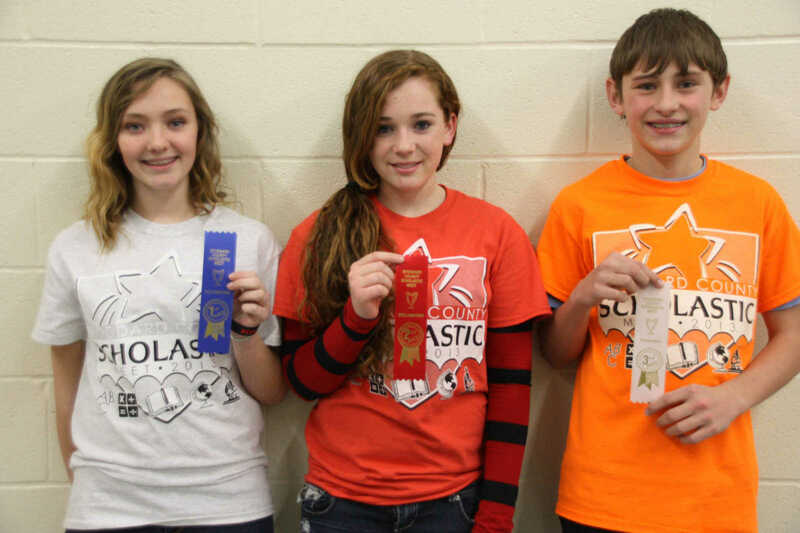 Grade 6 Individual Spelling - First Place- Seth Ingle, Bernie, Second Place - Savannah Ahern, Advance; Third Place - Kasen Barnfield, Puxico. 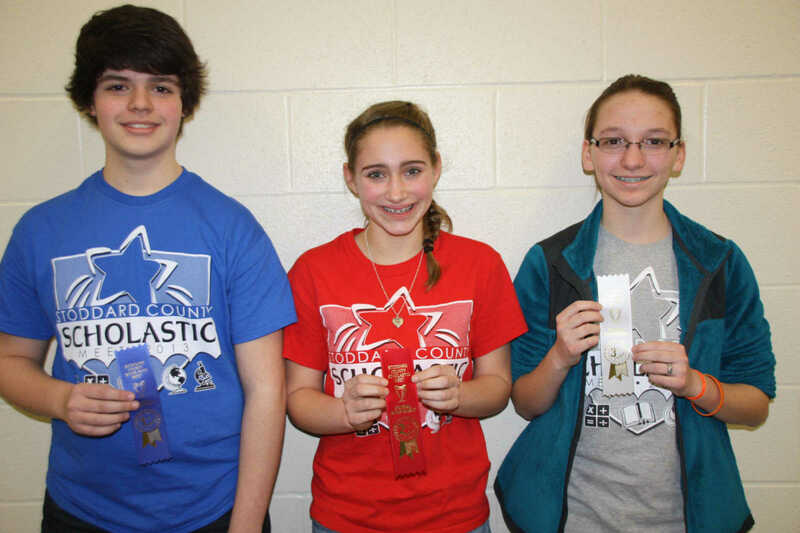 Grade 8 General Achievement- First Place - Lane Mayberry, Bernie; Second Place - McKayla Hunt, Bell City; Third Place - Mikayla Smith, Puxico. 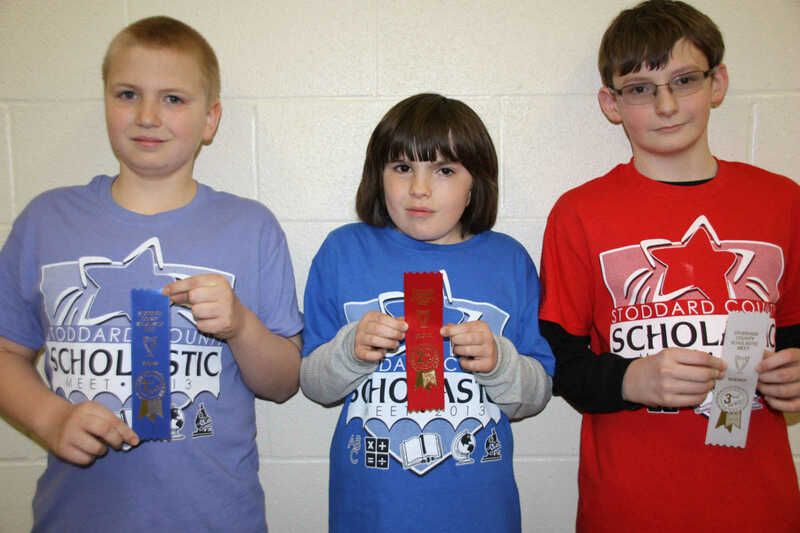 Grade 4 Science - First Place - Gavin Chasteen, Bloomfield; Second Place - Tucker Deck, Woodland, Third Place - Adam Chafin, Richland. 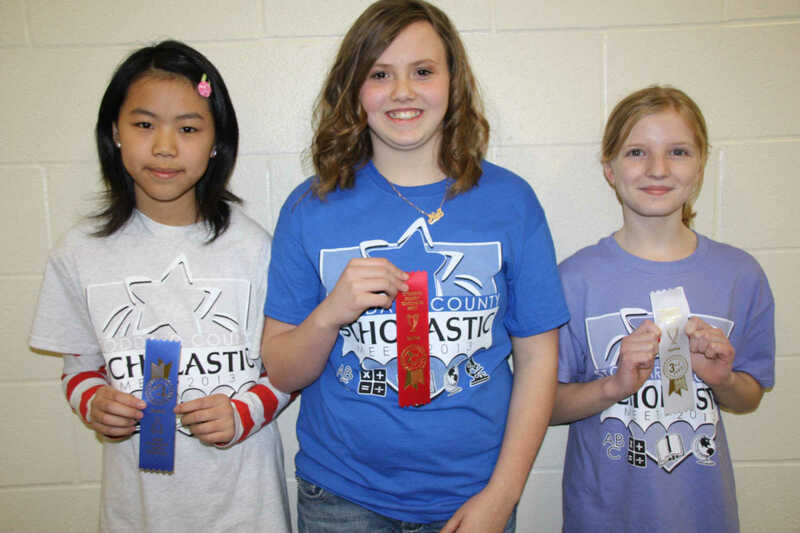 Grade 5 Individual Spelling - First Place -Irene Huang, Dexter; Second Place - Nia Walker, Bernie, Third Place - Eva Hester, Bloomfield. 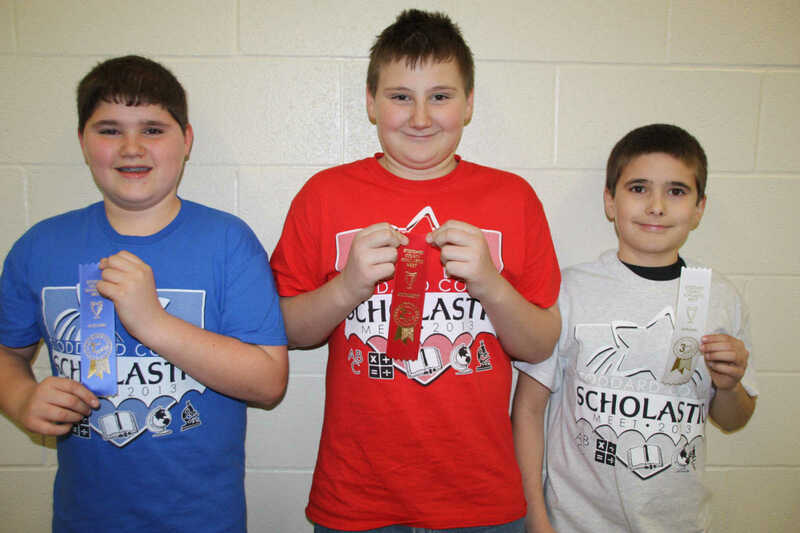 Grade 6 Social Studies - First Place - Johan Adams, Advance; Second Place - Karson Skinner, Woodland; Third Place - Coby Powers, Dexter. 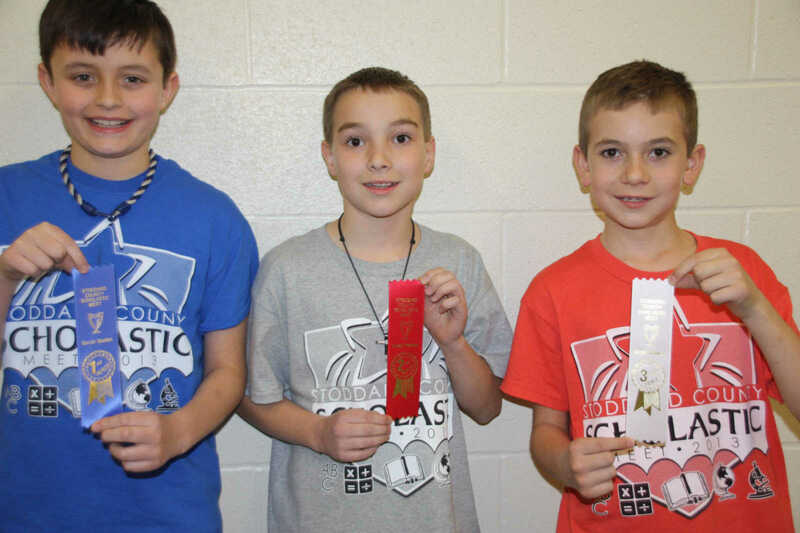 Grade 5 Science - First Place - Logan Parks, Bloomfield; Second Place - Dalton Berger, Bernie; Third Place - Cameron Mullin, Richland. 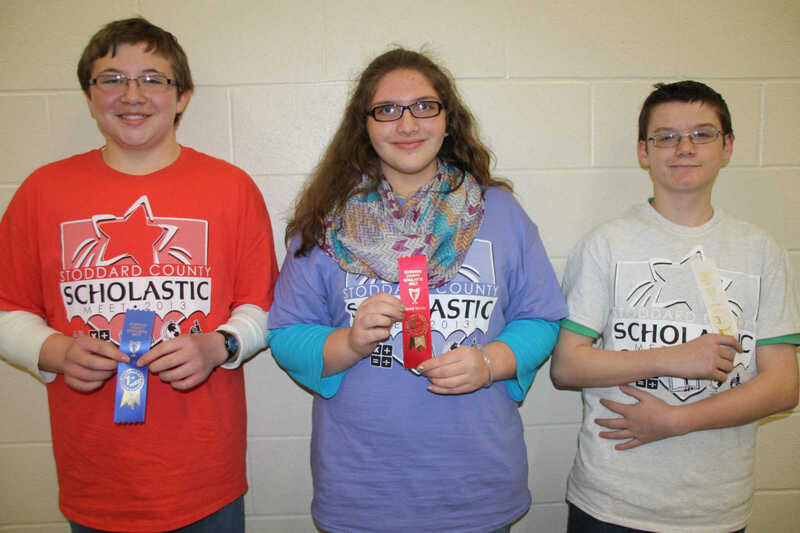 Grade 7 Science - First Place - Josh Hamann, Puxico; Second Place - Josh Kidd, Richland; Third Place - Allison Statler, Bloomfield. 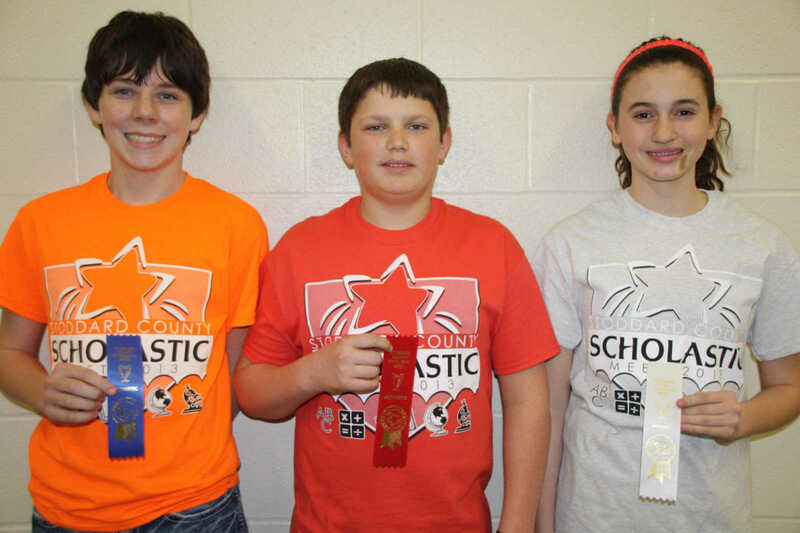 Grade 8 Math - First Place - Cade Long, Advance; Second Place - Ethan Harris, Woodland; Third Place - Reagan Miller, Dexter. 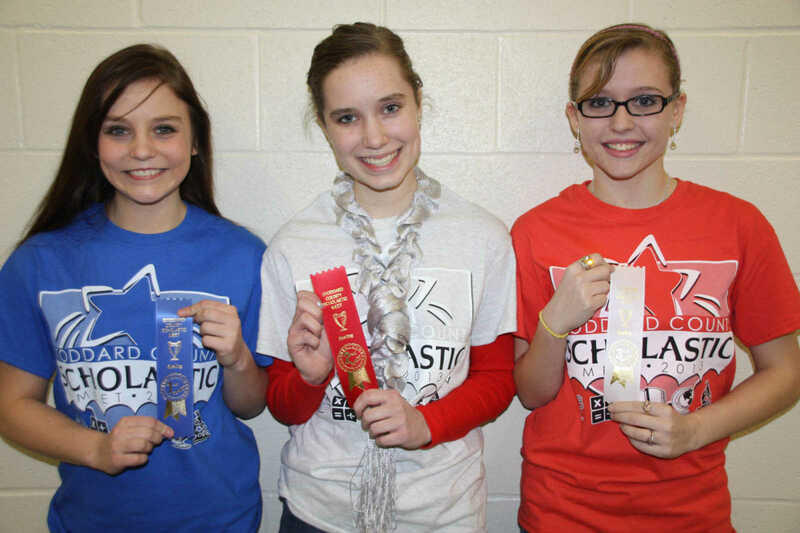 Grade 6 Language Arts - First Place - Brianna Arnzen, Woodland; Second Place - Georgia Wright, Bell City; Third Place - Daisy Eaton, Bernie. 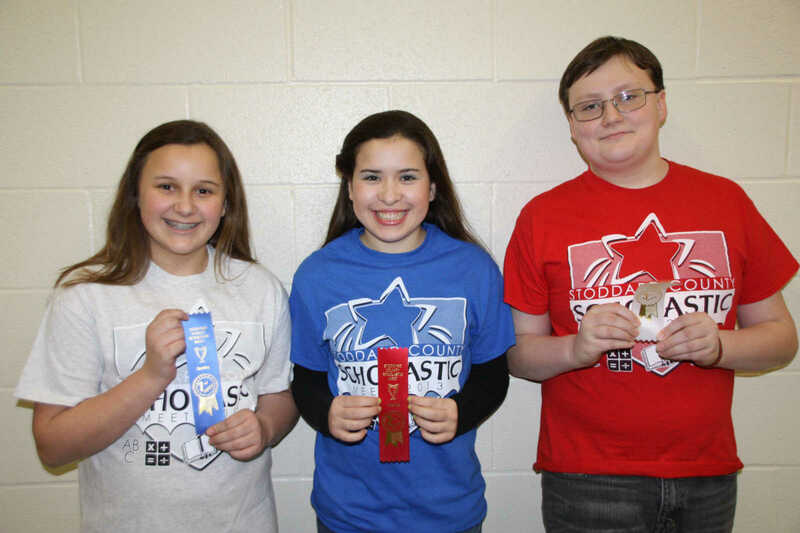 Grade 7 Individual Spelling - First Place - Lexa Midkiff, Dexter; Second Place - Sydney Griffin, Bernie; Third Place - Shawn Knox, Richland. 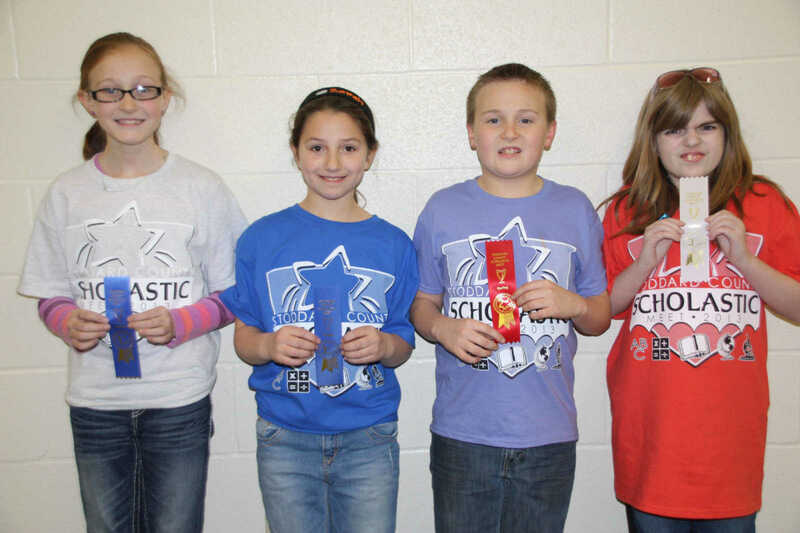 Grade 4 Individual Spelling - First Place - (Tie) Sarah Ellenburg-Bernie Bailey Chamberlain-Dexter; Second Place - Parker Heaton-Bloomfield; Third Place - Deanna Shaw-Woodland. 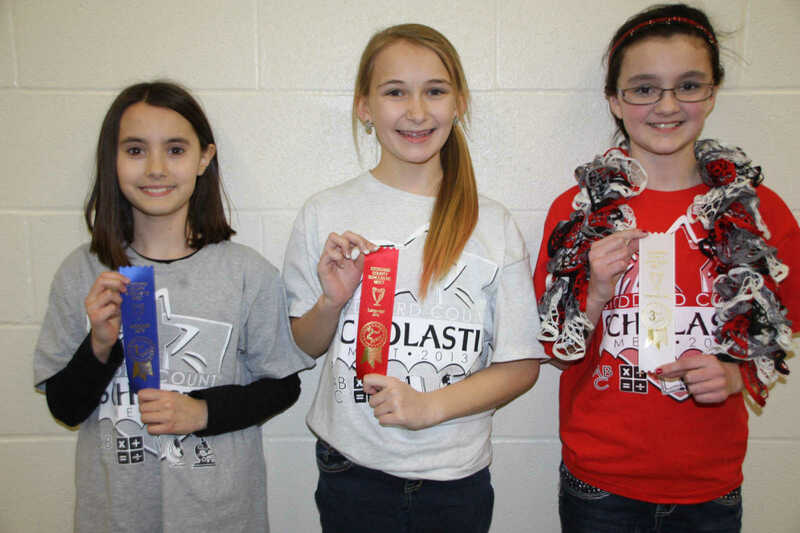 Grade 5 Language Arts - First Place - Abigail Jones, Puxico; Second Place - Clair Comfort, Dexter; Third Place - Allison Jones, Richland. 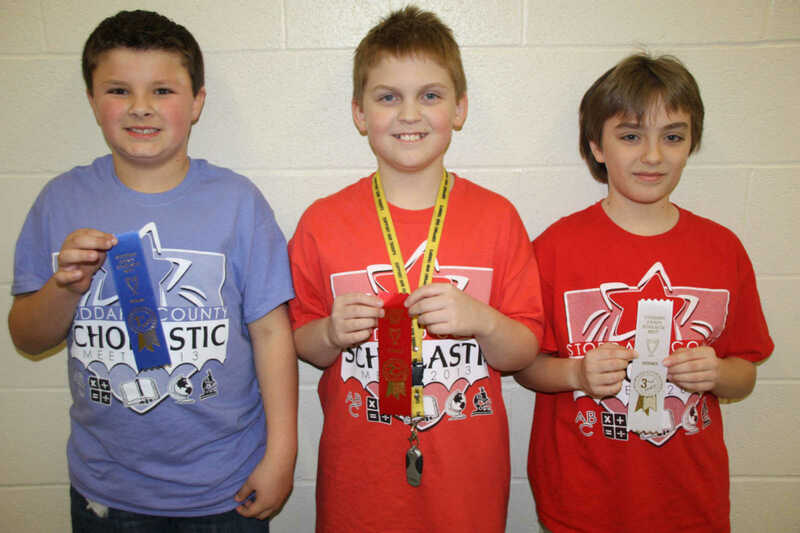 Grade 5 Social Studies - First Place - Trey Jackson, Bernie; Second Place - Dalton Phillips, Puxico; Third Place - Judson Mayfield, Woodland. 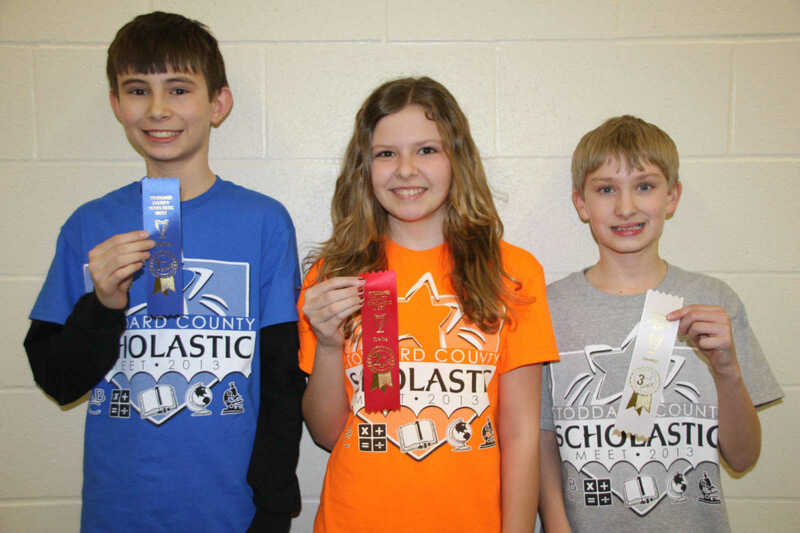 Grade 7 Math - First Place - Chase Dembowdki, Bell City; Second Place - Bailey Glass, Richland; Third Place - Noah Hester, Bloomfield. 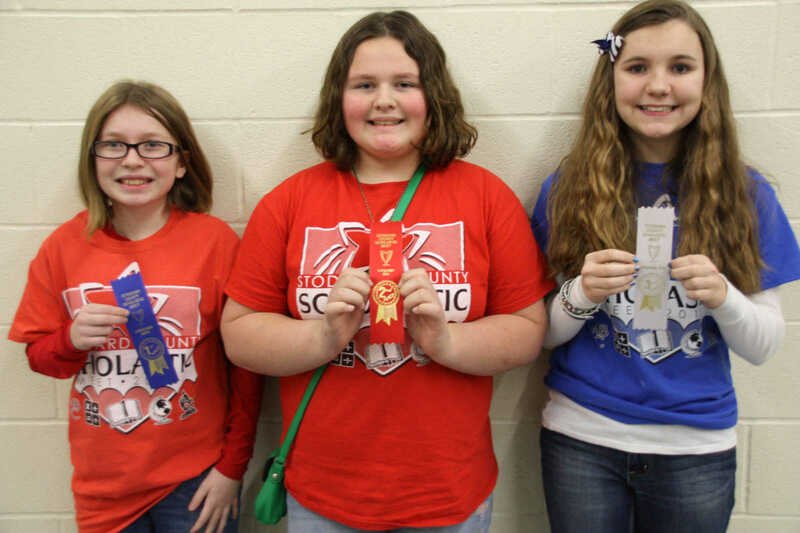 Grade 5th & 6th Declamation - First Place - Keirstynn Hudgens, Dexter; Second Place - Bailey Burns, Puxico; Third Place - Holly James, Advance. 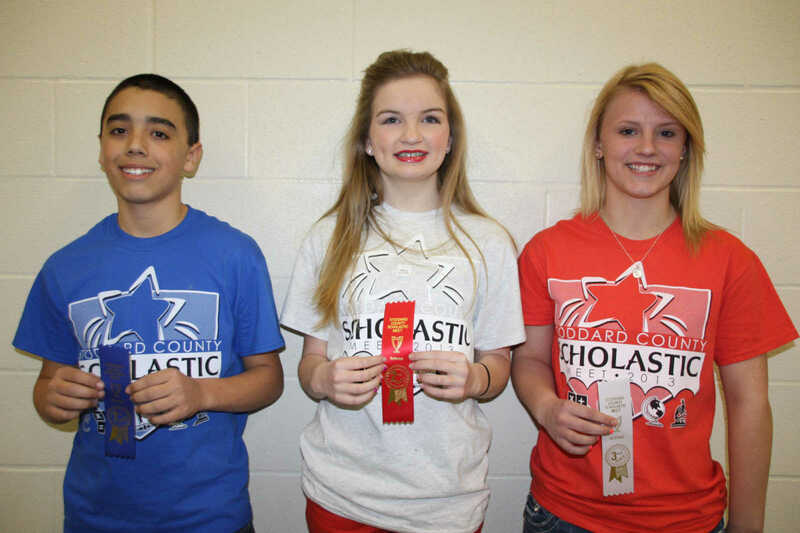 Grade 8 Science - First Place - Alex Guzman, Bernie; Second Place - Myca Sutton, Dexter; Third Place - Rachel Ekstam, Woodland. 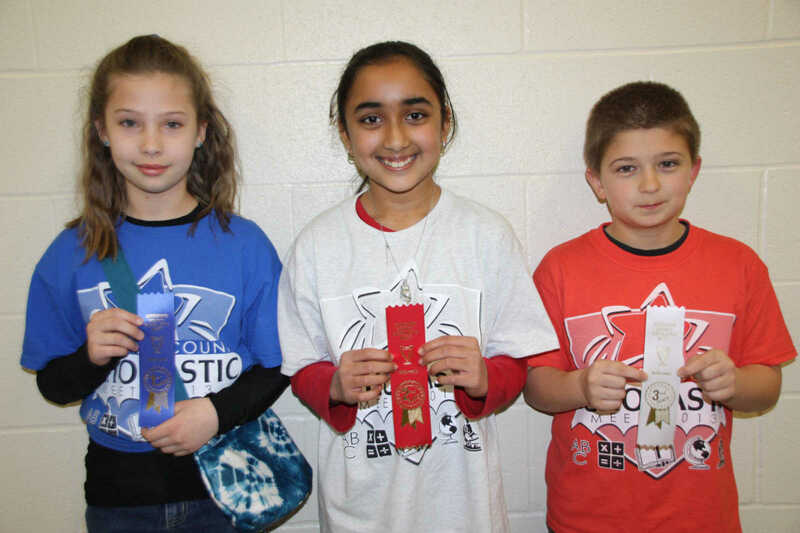 Grade 5 Math - First Place - Kaylie Holt, Bernie; Second Place - Nidhi Patel, Dexter; Third Place - Timothy Sloan, Woodland. 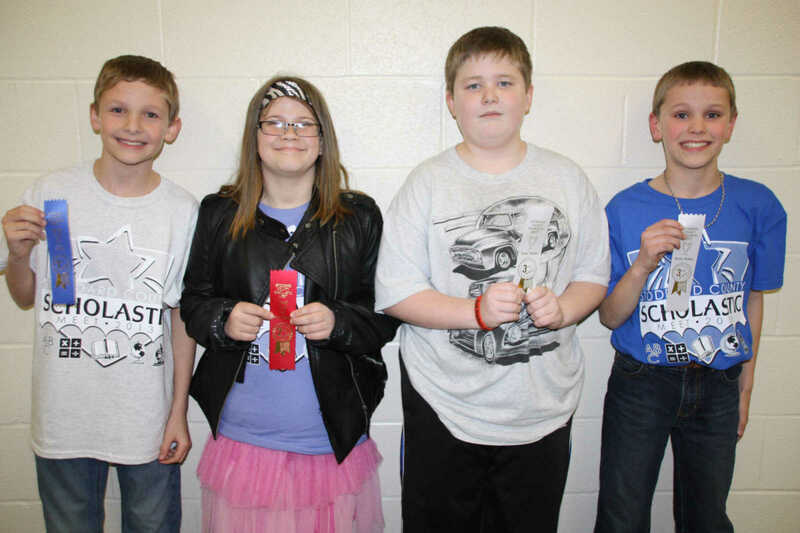 Grade 4 Social Studies - First Place - Andrew Ellinghouse, Dexter; Second Place - Cali Hartlein, Bloomfield; Third Place - (Tie) Truman Hobbs, Puxico and Landon Zoll, Bernie. 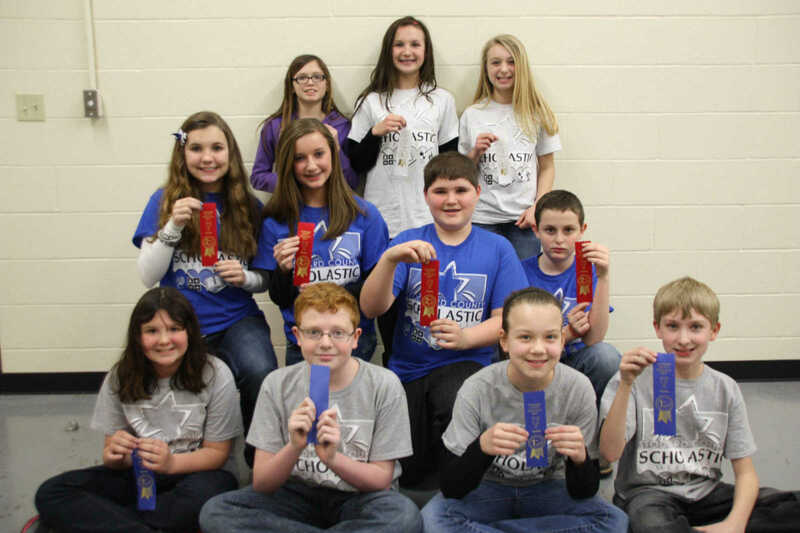 Grade 6 Team Spelling - First Place - Puxico - (Seated) Dawn Whitehead, Jacob Taylor, Shelby Hobbs, Karsen Barnfield; Second Place - Bernie (Middle) Daisy Eaton, Makayla Turner, Devin Barnes, Keith Miller; Third Place - Dexter (Standing) Alyssa Morrison, Adi Schumer, Anna Bishop. Savannah Gourley from Dexter is not pictured. (All students may not be in order of names). 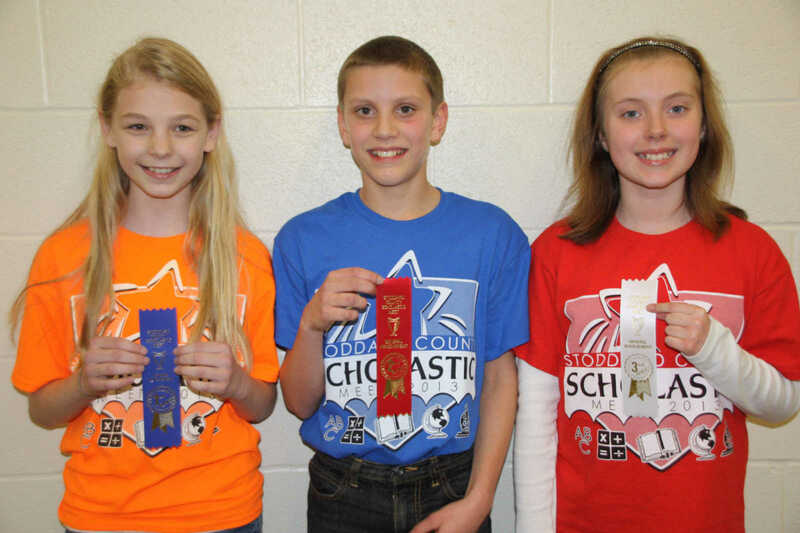 Grade 6 General Achievement- First Place - Katlyn Cook, Advance; Second Place - Weston Zoll, Bernie; Third Place - Katherine Wyman, Richland. 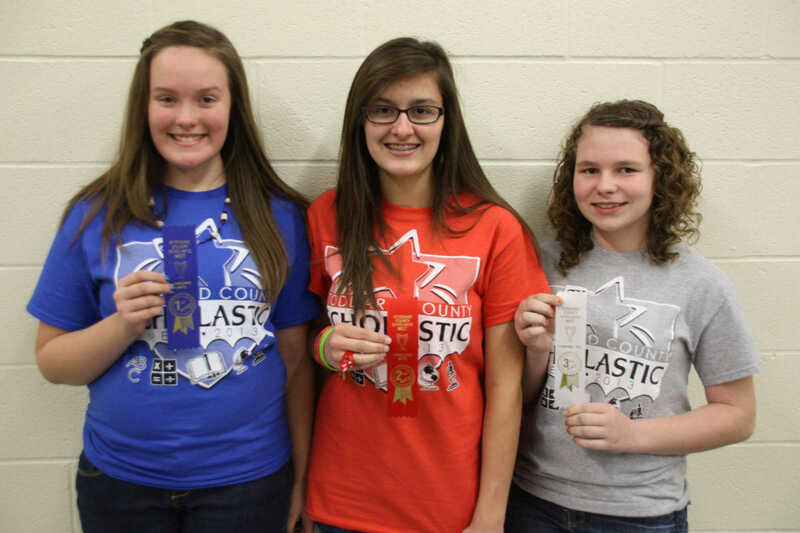 Grade 8 Language Arts - First Place - Brea Sloan, Woodland; Second Place - Kelsey Kendrick, Dexter; Third Place - Allee Crabb, Puxico. 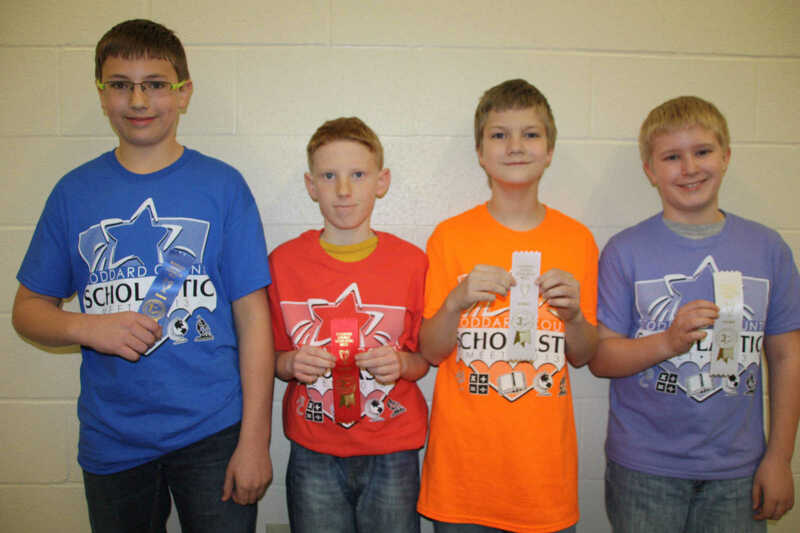 Grade 6 Math - First Place - Devin Barnes, Bernie; Second Place - Dylan Turner, Richland; Third Place Eric Hahn, Dexter. 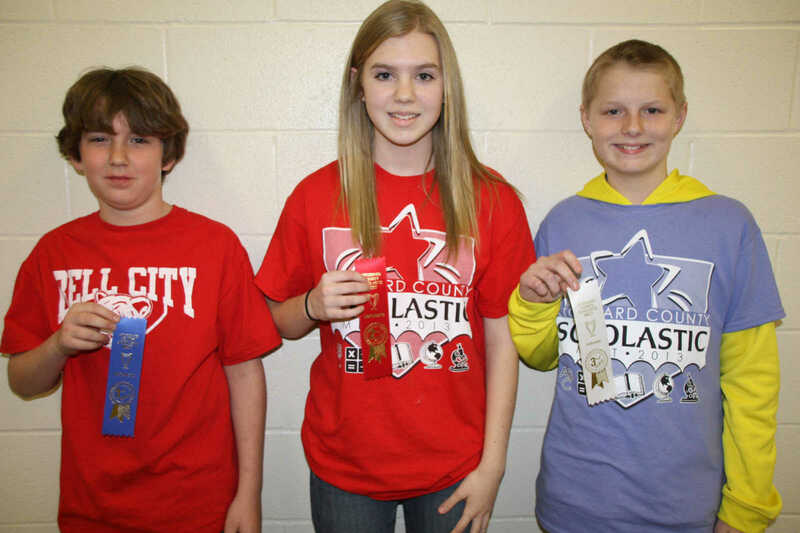 Grade 8 Social Studies - First Place - Clayton Hester, Woodland; Second Place - Clara Ollinger, Bloomfield; Third Place - Thomas Sherwood, Dexter. 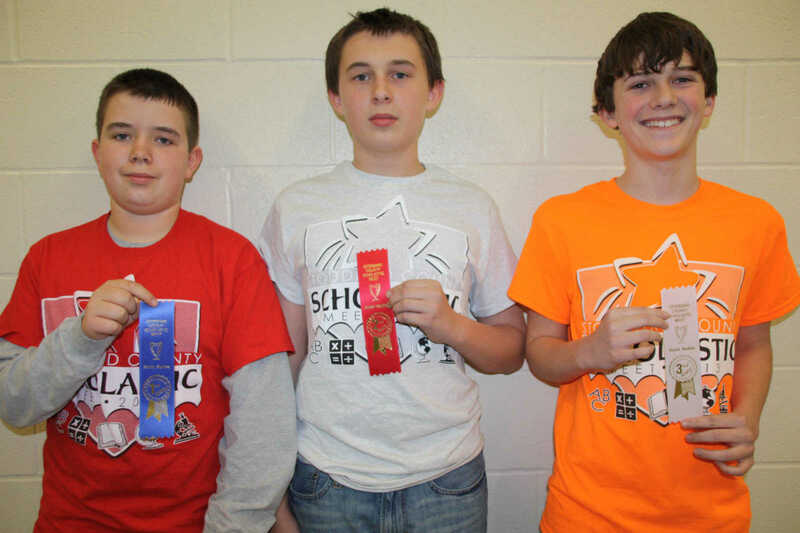 Grade 7 Social Studies.- First Place - Luke Rhodes, Richland; Second Place - Jack Worley, Dexter; Third Place - Morgan Roper, Advance. Grade 7 Declamation - First Place - Alanis Below, Advance; Second Place - Jonah Carpenter, Dexter; Third Place - Faith Oliver, Puxico. 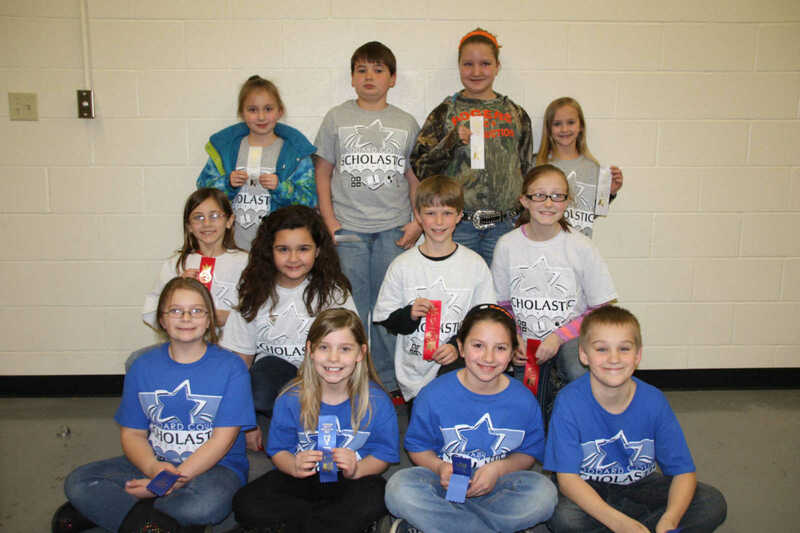 Grade 4 Team Spelling - First Place: Bernie (seated) Sarah Ellenburg, Adriana Minton, Mercedes Dean, Brent Gage; Second Place - Dexter (Middle) Bailey Chamberlain, Angelina Ferrer, Ryder Boles, Hannah Pyles; Third Place - Puxico (Standing) Taylor Hobbs, Dylan Mondy, Tia Rogers, Gracey Wilkerson. (Students may not be in exact order of names). 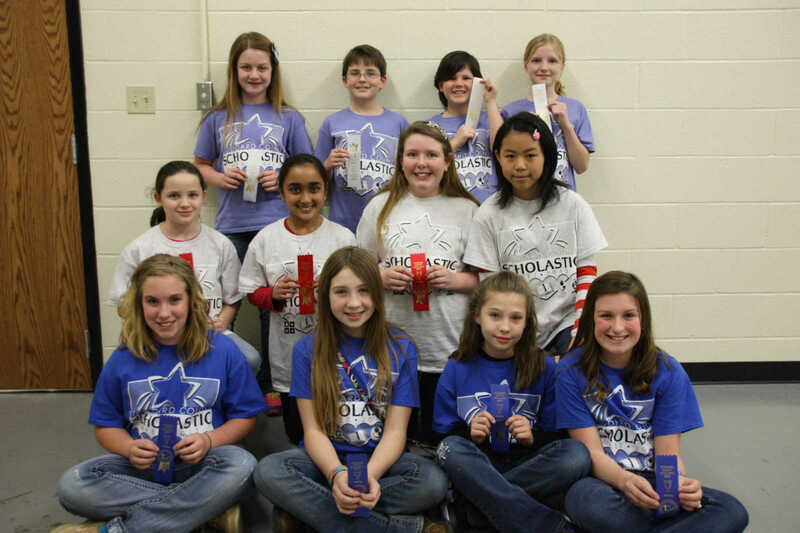 Grade 5 Team Spelling - First Place - Bernie (Seated) Cassidy Freed, Sydney Shaver, Kaylie Holt, Taylor Anthony; Second Place - Dexter (Middle) Madyson Lowman, Nidhi Patel, Jaden Cato, Irene Huang; Third Place - Bloomfield (Standing) Emily McGowen, Brant Hobbs, Brianna Burch, Eva Hester. (Students may not be in exact order of names). 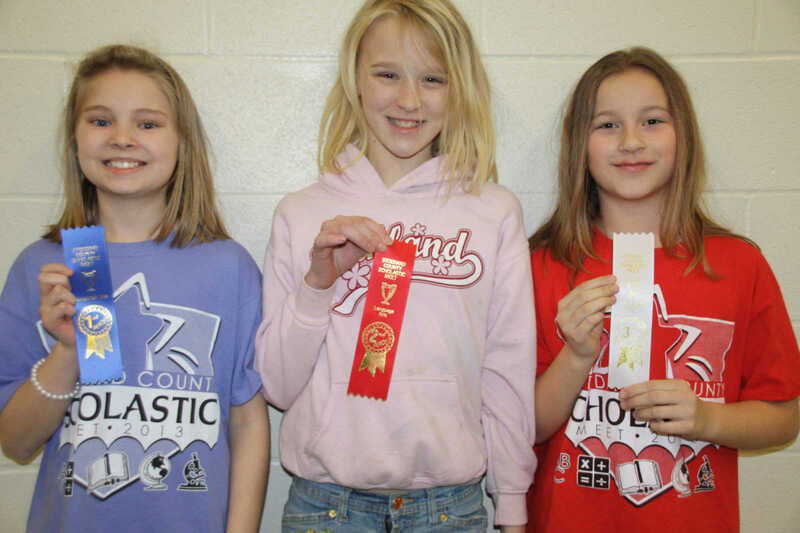 Grade 4 Language Arts - First Place - Abigail Pyland, Bloomfield; Second Place - Lilly Morrison, Richland; Third Place - Sydney Mitchem, Bell City. 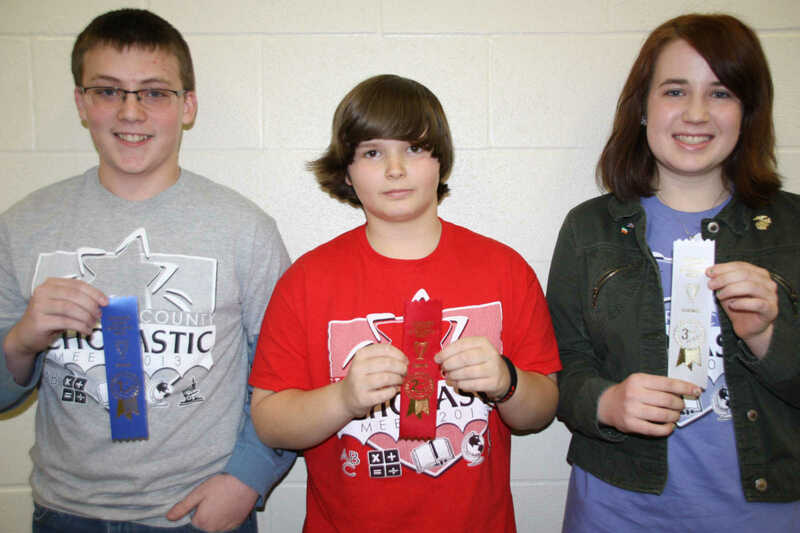 Grade 8 Declamation - First Place - Angel Maze, Dexter; Second Place - Lacey Wilkinson, Woodland; Third Place - Peyton Ford, Advance. 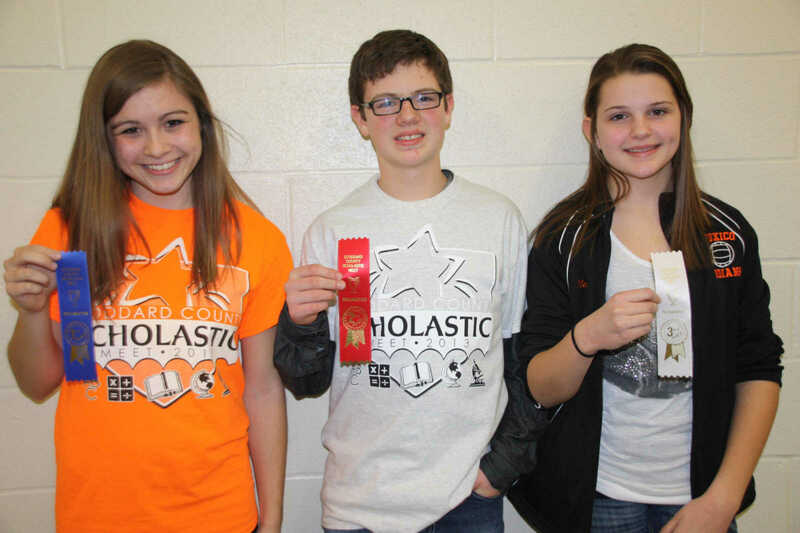 Grade 8 Individual Spelling - First Place - Morgan Baker, Bernie; Second Place - Abbie Mangum, Dexter, Third Place - Danielle Gillis, Woodland. 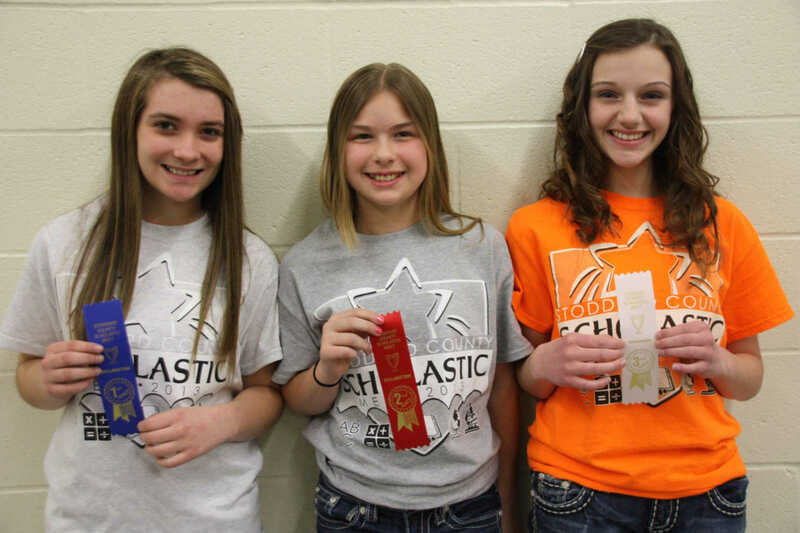 Grade 7 Language Arts - First Place - Skyler Brown, Bernie; Second Place - Tyana Mouser, Woodland; Third Place - Madison Caldwell, Puxico. 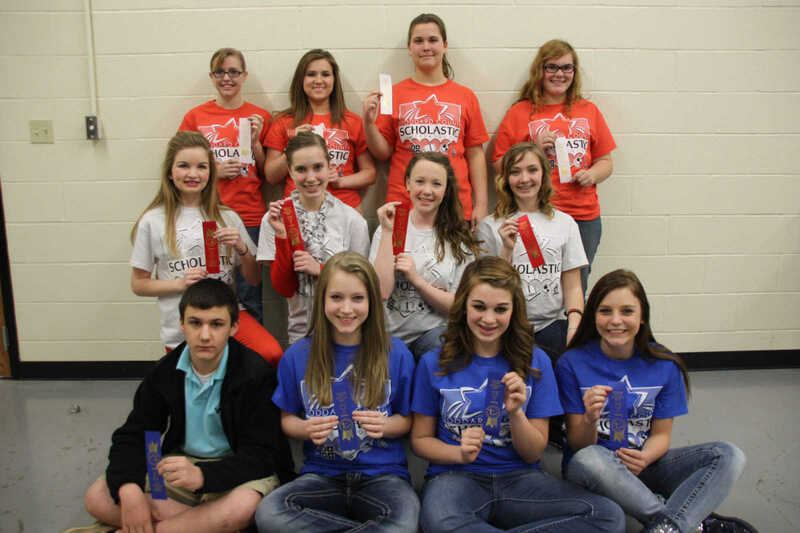 Grade 8 - Team Spelling - First Place - Bernie (Seated) Drew Murphy, Christina Dowdy, Madissen Corbin, Morgan Baker; Second Place - Dexter (Middle) Myca Sutton, Abby Mangum, Olivia Sitze, Angle Maze. 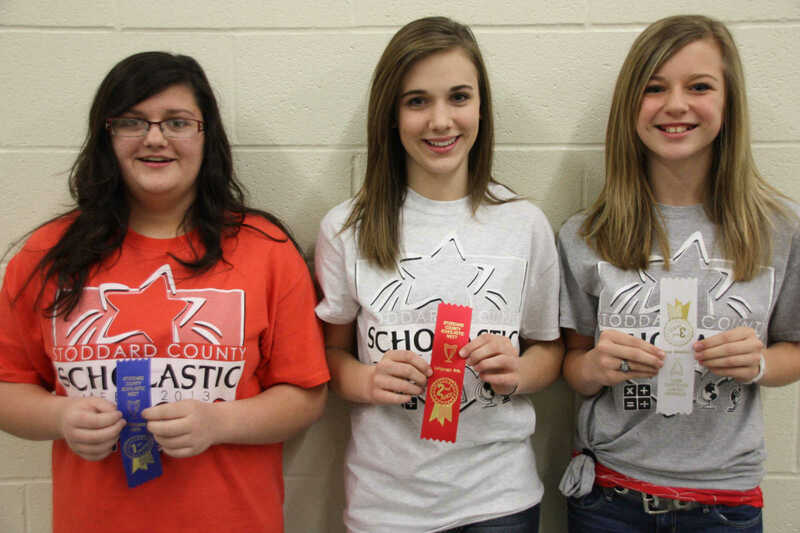 Third Place - Woodland (Standing) Danielle Gillis, Suzanne Haislip, Hanna Berrong, Lucy Blackwell. 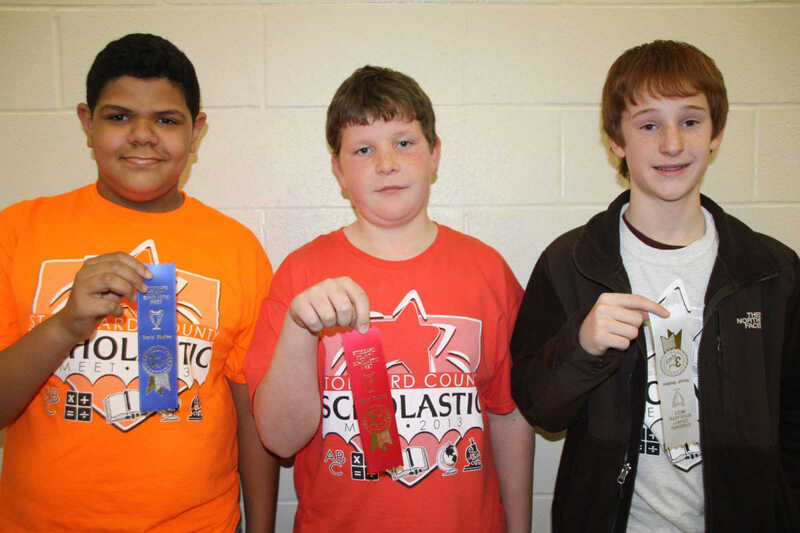 Grade 6 Science - First Place - Josh Ellenburg, Bernie; Second Place - Jared Merrell, Woodland; Third Place (Tie) - Seth Lafferty, Bloomfield and Lincoln Wilson, Advance.